Food, Portions and a recipe! Well, it’s been a little while since I posted anything! I have a handful of posts coming, probably in rapid succession, so be prepared! 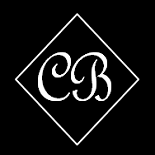 In my blog title it says that Blurb Column is my place to share thoughts on life, ideas to improve our world, and reviews of places I go, things I do, and food I eat. Well, I have done quite a bit about the food I eat, and not so much about the things I do or places I go. This post is about food, too, but there are a few coming that will be about some of the stuff that Chris and I have done lately. So, stay tuned for that! Part of the reason I do this blog is for me, of course, because I enjoy writing and getting my thoughts and ideas out there. But, part of it is for the reader, as well. I have spent the last 4-5 years doing a LOT of learning about health, nutrition, meditation, wellness and balance. I am a work in progress and I learn more all the time. So, part of this is a way for me to share the things that I have found over the years that work, maybe some things that don’t, and especially a reminder that this life is supposed to be fun and fulfilling! Part of a fun and fulfilling life, for me, is food. But one thing I want to point out: portions are important. I don’t think I have really talked about this much, but it came to my attention that I should talk about it. Particularly if people who read this are considering using these recipes in their own life to try and lose weight or are just health conscious. So let me tell you a couple of things about my food beliefs and then we’ll get to the recipes. First of all, I don’t really believe in “bad” foods, as long as it is REAL food. Real food consists of whole, natural, unprocessed (or minimally processed), non-chemically created foods. Whole Grains: Quinoa, Red Rice, Brown Rice, Couscous, Amaranth, Barley, and much more. Legumes: lentils, kidney beans, black beans, garbanzo beans, and many more. What I do not believe in is non-food. Non-food is stuff that comes in a package, packed with chemicals and ingredients that are unrecognizeable, unpronounceable and can be traced back to corn, soy and sugar. I avoid these foods. I avoid convenience foods. I avoid added sugars. I avoid the center of the grocery store, where these foods are kept. Notice I say I avoid them. That doesn’t mean they never enter my diet, but it is rare and the exception to my overall plan. I do eat some dairy, but I have an aversion to cow’s milk, so stick with rice milk when milk is called for and I limit my cheese to small portions, more as a way to season or finish a dish. I used to eat yogurt, but I find it to be so loaded with sugar, that I have mostly avoided that as well. For many things, I try to buy local and organic. For the meat, I try to avoid major manufacturers because I don’t agree with their practices. I try to buy local or organic meat. For fish I NEVER buy farm raised fish. Just don’t do it! It doesn’t taste the same and they feed the fish colored food pellets to get their flesh to change colors, otherwise their flesh would be grey! YUCK. These are things that I do. They may work for you or they may not. But I felt like people who read this blog should have a basis to draw from regarding my philosophy on food and eating. Plus, I’m not perfect and I never intend to be. There will be times when I enjoy or choose to partake of a treat or convenience food. That is not bad either. That is life and there has to be balance. Okay, so, back to my cooking and portion sizes. It is important to remember that if I make a rack of ribs I am not eating that entire rack of ribs! I would typically have one rib, possibly two at most. So, please remember that when you are reading through the recipes and thinking about trying them. It is important to remember what an appropriate portion size is for you, especially for more calorie dense foods, like meat and grains. This was our dinner last night. 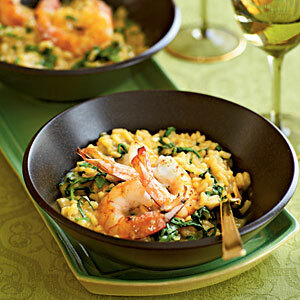 The recipe is from Cooking Light: Pan-Seared Shrimp and Arugula Risotto. It was quite tasty and creamy. If you have never made risotto before be prepared to stand at the stove for the 30+ minutes it takes to cook the rice, stirring constantly. The stirring is the key to the creamy consistency of the risotto. Also, I did not use homemade chicken stock, though it is not difficult to make. I used Swanson’s low sodium chicken broth, which works just fine. Also, if you can’t find shallots, you can use regular onions. A serving of this, according to Cooking Light, is 1 cup and equal to 344 calories. You can round this out with a side of green veggies, raw or steamed, or a nice green salad. If you do a salad be cautious with your dressing choice. Go for something light, like a nice homemade vinaigrette or a squeeze of lemon. Also, you could lower the overall calories a bit by reducing the butter/cheese amounts in the risotto. I didn’t, as I felt they were a good flavor addition. After I eat something creamy and carb heavy like this I tend to feel like something sweet. A couple of ways to combat that are to drink some cold lemon water after you eat, or have an herbal tea with a slightly sweet flavor, like licorice root or orange zest. Remember, portions sizes are important! You can eat many different types of real foods in your daily life, as long as you remember portions! 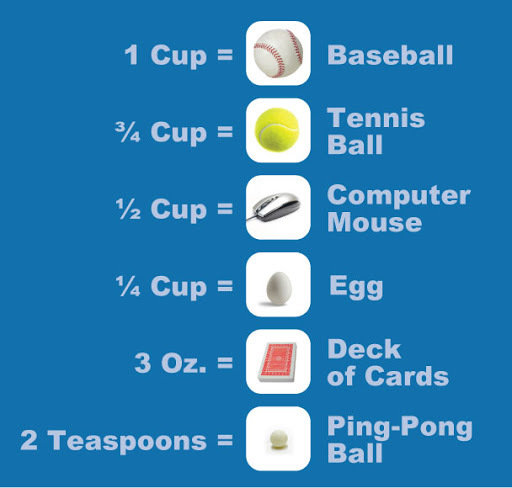 Here is a handy guide to appropriate portion sizes. This entry was posted on June 17, 2010 by Corrie Beebe in cooking, food, health, recipes.